The post: Time is money shows not a very tall tower, but certainly a time piece of historic value. 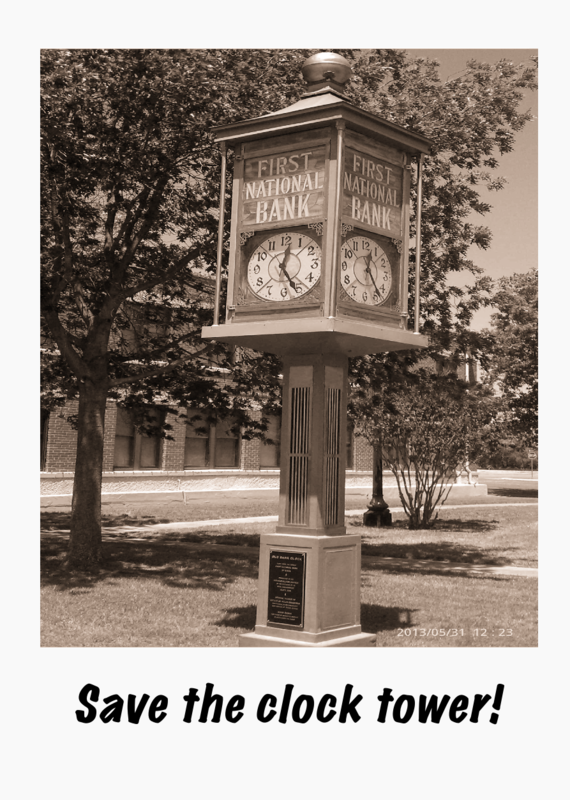 An old bank clock from the First National Bank of Cisco stands here. A clock on a short tower.